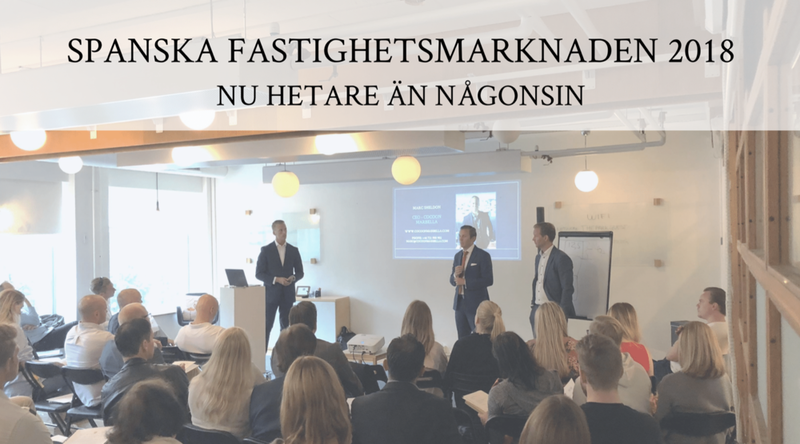 "Spanish Property Market - Hotter Than Ever"
After a lot of requests, Marc visited Stockholm on the 13/6 in order to speak with the Swedish audience about the Spanish property market. 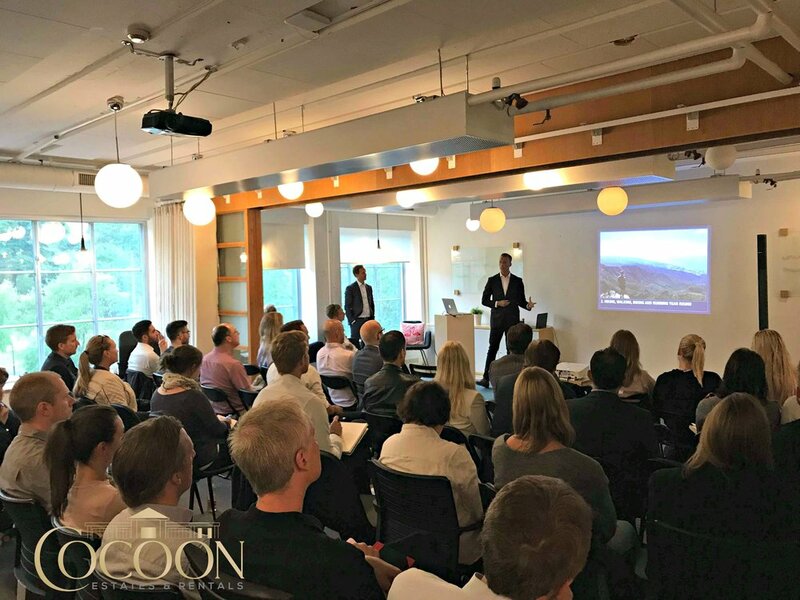 70 people took time out of their busy schedule in order to learn more about the Spanish property market and the many opportunities it currently has. A surprisingly large amount of the participants had previously visited both Spain and Marbella. Considering that the event had only been public for two weeks, the amount of people that turned up supports the fact that the information regarding the fast-growing Spanish market has reached far. 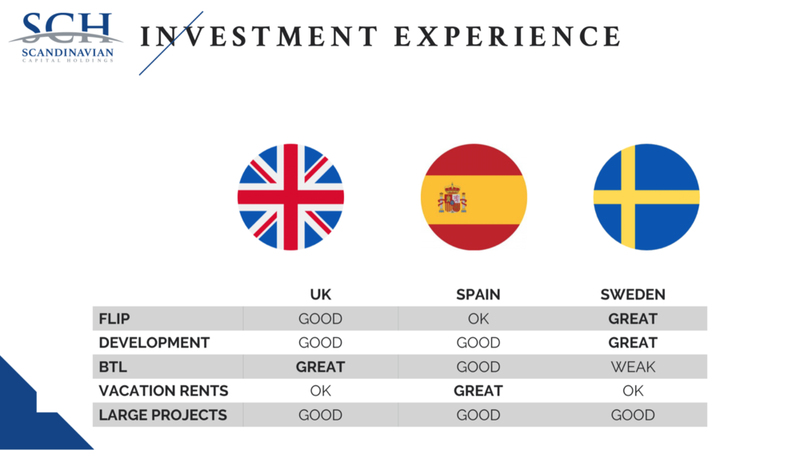 The majority of the questions from the audience was regarding the process of buying the property and renting it out, even when they themselves aren't present in Spain. The presentation contained statistics, area information as well as current, available property deals. If you didn't get the chance to attend the event, but would still like to hear the presentation, we have good news. We recorded the presentation and you are welcome to download it for free via the button below! Thank you, we will send you the video shortly! Here is a valuable slide from the presentation that speaks on the difference between the different markets.